Televisions always have – and perhaps probably always will be – among the top draws at CES. Eyeballs naturally gravitate towards huge, colorful displays and there’s no reason to believe this year’s show will be any different. Then again, TVs are everywhere at CES. What’s going to make one brand's lineup stand out among the sea of other drool-worthy sets on the show floor? For LG, the answer is something the company calls Nano Cell technology. 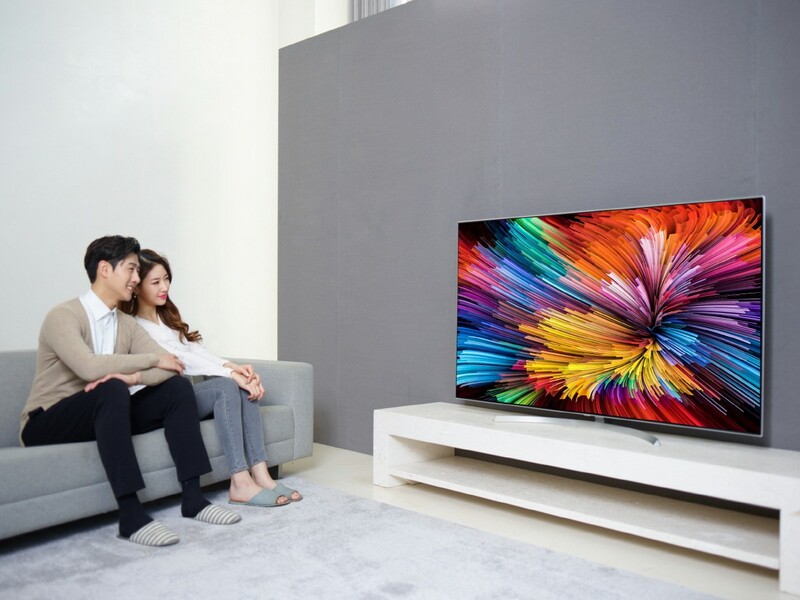 The South Korean electronics giant on Monday announced its third generation LG Super UHD TV lineup utilizing Nano Cell LCD technology, a variation of quantum dot technology. LG says the tech employs uniformly-sized particles measuring approximately one nanometer in diameter to create more subtle, accurate colors that can be viewed from a wider range of angles. In fact, LG says there is virtually no color difference for viewers seated directly in front of the screen and those watching from a 60 degree angle. Nano Cells are apparently able to achieve such results by absorbing surplus lightwaves, a capability that helps to filter distinct colors with much greater precision. This characteristic helps reduce color fading and image instability as well as on-screen glow for a better picture in brightly-lit environments. The new sets – models SJ9500, SJ8500 and SJ8000 – also use webOS 3.5 and support multiple HDR technologies including Dolby Vision, HDR10 and Hybrid Log Gamma (HLG) and come ready to support Advanced HDR by Technicolor. There’s even a new HDR Effect feature designed to improve brightness and enhance contrast ratios of SDR content on a frame-by-frame basis. More details including pricing and availability will come later this week at CES.